Shortly after Nibiru arrived in the inner Solar System in 2003, the increase in earthquakes picked up. 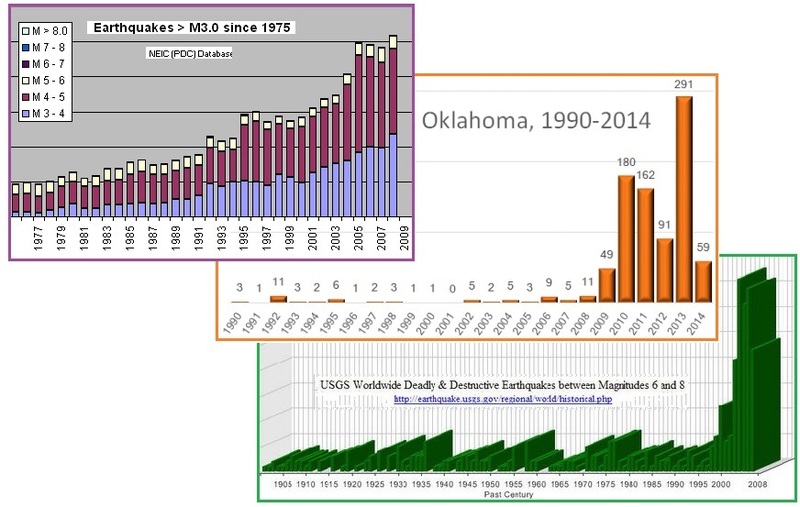 The cover-up over the pending passage of Nibiru sprang into action at the USGS by deleting quakes from the database, reducing the magnitude of quakes, and forcing all quake reporting outlets to funnel through the USGS. This has been detailed in this Newsletter in Issue 2 in 2006 and Issue 141 in 2009 and Issue 198 in 2010 and Issue 245 in 2011 and Issue279 in 2012 and Issue 283 later in 2012 and Issue 345 in 2013 and Issue 399 in 2014 and Issue 433 in 2015. There is abundant evidence. Even with quake reporting suppressed, the increase is obvious. Now the public has proof. The USGS has been caught in the act, doctoring the data. Beyond the BBC, this was not reported in the Main Stream Media, as it pulls the covers back off the cover-up. The USGS sent out an alert on a 6.8 quake near LA, stating it had occurred in 2025. Oops. This was a quake from 1925. The USGS quickly issued a disclaimer on the incident, Event ID ci 37161284. They were just playing around with historical data. This begs the question: why? The Zetas explain. A computer error caused the US Geological Survey (USGS) to issue the false alarm about the magnitude 6.8 quake. The quake actually took place in 1925 when it laid waste to the city of Santa Barbara and caused 13 deaths. In a statement, the USGS said its computers had "misinterpreted" data causing the alarm to be wrongly issued. The federal body said work it was doing to revise and update information about where the historic quake struck had caused computer systems to misinterpret the data and think it was seeing a novel event. 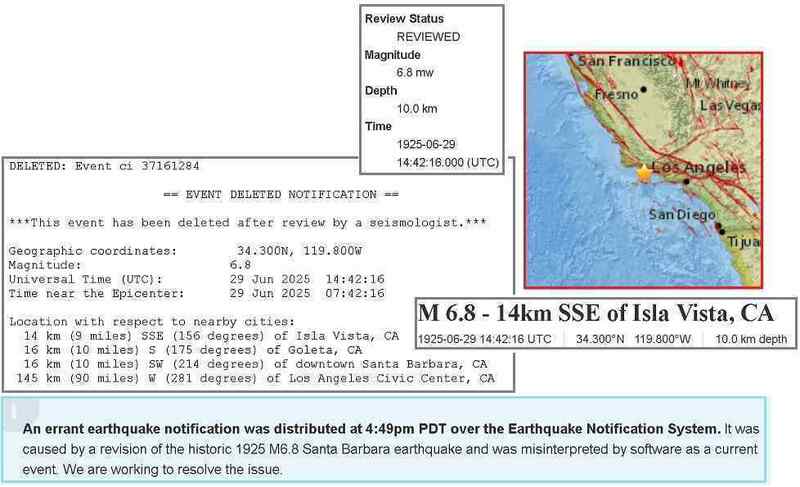 Devastating Earthquake Alarm for Los Angeles by USGS – False! USGS, the US government run by the US Department of the Interior and their network based in Hawaii in charge of measuring, alerting and warning about earthquakes and tsunamis worldwide just emailed an alert to thousands of media and stakeholders around the world about a 6.8 Earthquake in the Santa Barbara Channel. ZetaTalk Insight 7/1/2017: The clue to why a quake was reported as an alert, 92 years after the fact, lies in the explanation given to the BBC. The USGS process reported was to “revise and update information about where the historic quake struck”. Why does one need to review and update historical information? One does not change historical information, particularly one where the location had been precisely noted at the time. The USGS has inadvertently given the public an insight into how much they manipulate quake data. They identify quakes by location, and if a quake occurred out in the ocean, or in a sparsely populated area, it is marked for deletion, reviewed, and then dropped. Then the remaining quakes are reduced in magnitude by almost 2 full magnitudes steps. Due to the increasing ferocity and number of quakes jolting the Earth at the present time, this computerized process is tweaked frequently, the programs changed. Software is never clean of bugs, which lie in wait for the right circumstances before they become evident, and bugs are often introduced during change. Software engineers have test data and do extensive testing prior to releasing new software. 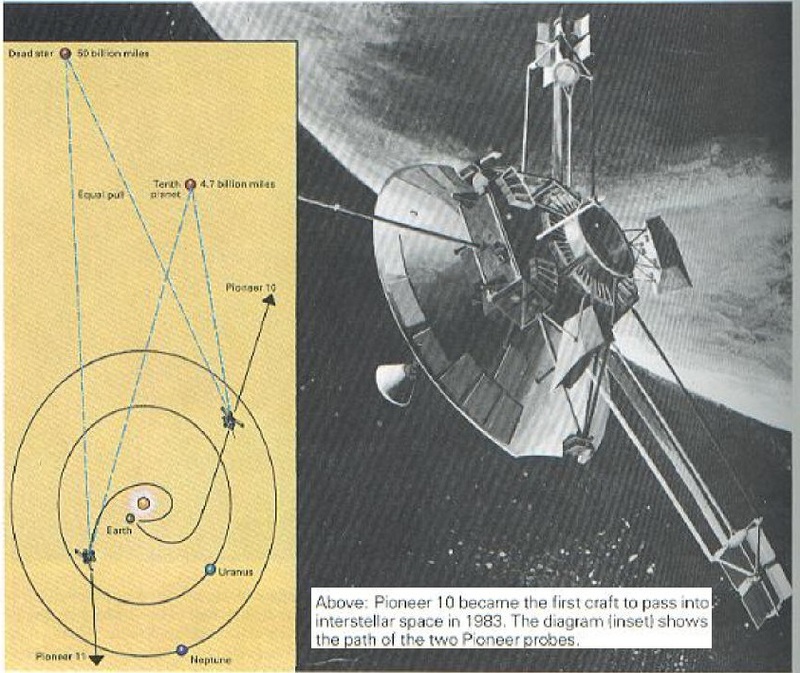 Using old, historical, data for the test bed would be ideal. Test data needs to simulate reality, with a broad variety of circumstances, and historical data contains that. But during these tests, the end result, automatic alerts and posting to websites, would be blocked. What occurred during this USGS blooper is that a test run was started before the setup was complete. The quake magnitude was not reduced, and the alert was not blocked. What should be understood is the amount of stress and anxiety that those aware of the cover-up over Nibiru have - while maintaining the cover-up, doing their job, yet unable to inform their friends or alert the public. 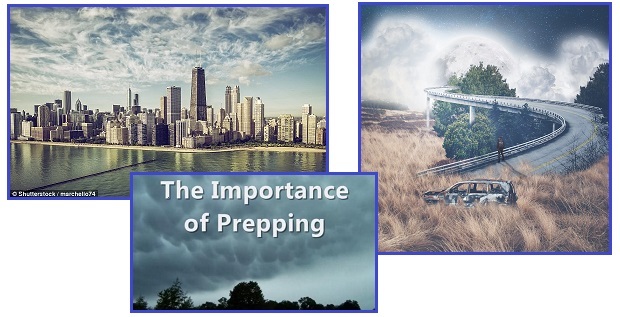 Those at the USGS who program the quake data manipulation are clearly aware of what is pending for mankind, the devastating quakes ahead, and many grieve and struggle with their options. If they leak the truth, they would likely have an “accident”, be killed. So they drink too much, are distracted, and make mistakes. As recent postings on the Pole Shift ning detail, the increase in quakes worldwide is astonishing. Country after country shows the spike. Stanislav, a ning member, shows the spike in Italy, Greece, Cyprus, France, Finland, the Czech Republic, Turkey, Russia, China, S Korea, Thailand, Australia, New Zealand, S Africa, Cuba, Mexico, and Alaska. Rich and poor alike feel uncertain about the End Times. The rich worry about the collapse of civilization, losing their perch on the top of the pile, their servants refusing to continue to serve when paper money no longer has worth and the police and court systems no longer function. They worry about hungry mobs attacking their survival enclaves. Mark Zuckerberg, the FaceBook CEO, is certainly among the elite, and was cited recently by the Zetas for trying to install a survivor migration tracking system in Africa. ZetaTalk Comment 9/3/2016: All communications in the vast region of Africa will be known to Zuckerberg and his elite allies, who obviously include Israel. This information would be used for enslavement and control, and it is this effort that the Council of Worlds will not allow. Now he is at it again in S America. The elite could thus track disaster survivors as they move to safety, and more importantly, where they have settled afterwards. The elite would thus know their routes, and could block or divert migration - blow up bridges and roadways to prevent migration. 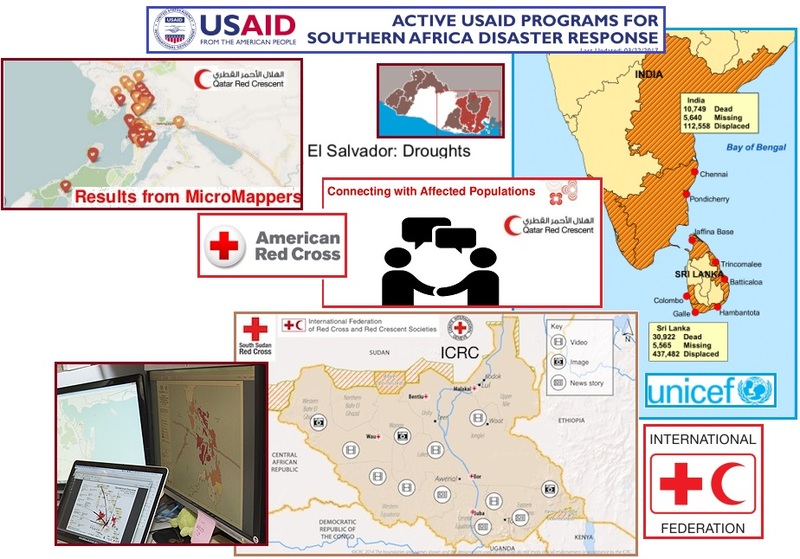 There is no assurance that aid organization would be the only ones to use this data. Zuckerberg’s motives are highly suspect, given his Africa gambit and the Council of Worlds response. The first taps into Facebook's widely recognized social good product, Safety Check, offering information on where people are checking in safe. This shows how people are using the platform in a disaster. Facebook is also sharing data on location density—where people are located before, during, and after a disaster relative to where you would expect them to be. The third type of information they're focusing on is the direction in which people are moving. It's important to know if people are evacuating north, south, east, or west, so organizations know where to send food, water, and medicine. It could also pinpoint the location of roads, and whether they're congested and should be avoided in rescue efforts. 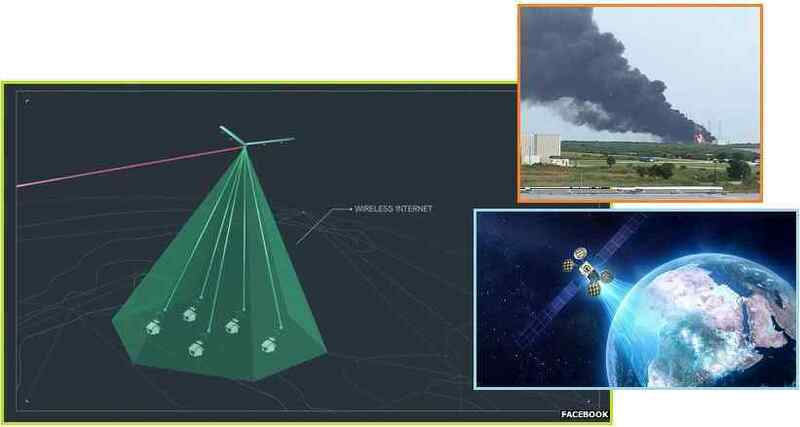 The company that it's launching a new product called "disaster maps," using aggregated, anonymized Facebook data in disaster areas to deliver crucial information to aid organizations during and after crises. Facebook is currently beta testing the product with three organizations: the World Food Programme, UNICEF, and the International Federation of Red Cross and Red Crescent Societies (IFRC). ZetaTalk Insight 6/17/2017: Russia was not allowed to launch satellites that would spy on migrants. In like manner, the Council of Worlds slapped Zuckerberg down in 2016 over his ambitions to control survivors in Africa with his drone based Internet. He is now trying to be covert. His cover is to masquerade as an assist to disaster recovery providers. Zukerberg is hardly a humanitarian. As a member of the elite he wishes to limit and control the starving masses after the Pole Shift, to enslave them, and to eliminate those who will not be useful to he and his ilk. He seeks information. Look at what is to be learned! He would learn where survivors are grouped, their “density”, where they are moving, where they feel safe and are setting up new homes. For the elite, who wish to eliminate certain segments of the population, whom they consider trouble makers or worthless as workers, this allows a pointed assassination campaign. Poisoned food or water, or self-limiting diseases such as infections, would be prime tools in such a campaign. If the density of survivors is to be limited, knowing what routes they are using can be targeted to divert survivors into smaller enclaves. This allows the elite to enslave these smaller groups, and to capture and relocate them later. Where Zuckerberg feels he has smugly gotten around the Council of Worlds objections, he makes a number of assumptions. First, that the Internet, in particular his FaceBook application, will be functional. Those communication routes used by the survivors and aid agencies genuinely concerned about helping them will function, but FaceBook will not. Second, the endeavors to poison survivor groups will fail, in a thousand different ways. Third, after losing track of the migrants, he will not be able to recover their locations or their direction, even if they move toward elite enclaves. True karma awaits. On the opposite end of the spectrum lie the poor. The poor worry about a lack of social services, food stamps or free medical care a thing of the past, and having so few supplies that starvation looms. As civilization crumbles, wither the common man? Will their debts be eliminated by some kind of NASCARA magic? Will they come together into communal living that is peaceful and generous, like the Venus Project asserts? 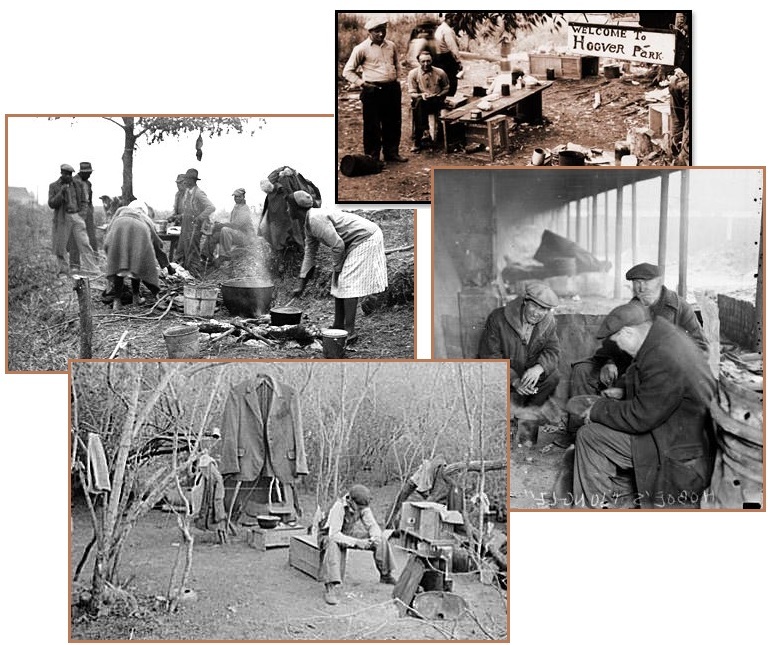 Or will it be a return to the hobo camps of the Great Depression? ZetaTalk Insight 6/17/2017: We have predicted that the world will go on the barter system after the Pole Shift. Except for some enclaves where the wealthy will try to barter art work and precious jewels among themselves, or some holdouts where paper money and banking still prevail for a few months, only items of real worth will be used as a medium of exchange. Seeds, hand tools, livestock, medicinal herbs, and skill sets such as carpentry and dentistry will be of value, where former accountants and hedge fund managers will be rejected by survival camps. 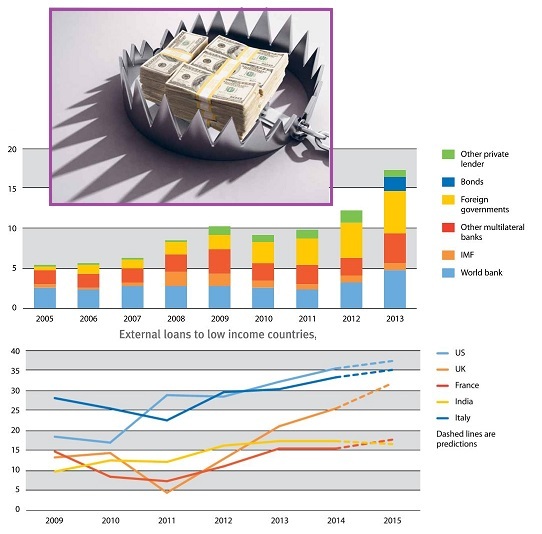 At the present time, debt slavery has been imposed on the common man, and on many countries, by the IMF and western banks. Encouraged to go deeply in debt, both individuals and corporations and Heads of State find themselves owned by their masters. These shackles will not hold forever, as bankruptcy is afflicting all. How does the globe leap from this situation into one where the barter system prevails, and survival camps are operating on a sharing and caring philosophy? This transition does not occur overnight. Half the world’s population lives on coastlines or in river valleys. During the increased ocean sloshing and torrential rains expected during the daily Earth wobble, which has hardly peaked as yet, these coastlines and river valleys will implode. Corporations, which cluster near high population areas, will go bankrupt. Insurance companies will default and go bankrupt. Governments will not be able to fill the gap, themselves being bankrupt. Homeowners will default on their mortgages as flooded homes are in any case worthless. Where does all of this leave the banks and the common man? No one will be compensated for their bad judgement, fantasies like NESCARA notwithstanding, and as the bankruptcy courts know, one cannot get blood from a turnip. So the common man, destitute or with a few belongings, may gather in tent cities or squat in foreclosed houses or wander into the countryside looking for a camp they might join. Here the spiritual maturity of the population comes into play. Though walk-ins by Service-to-Other souls might increasingly occur, most humans do not have a sparked soul, and of those that do, most are immature, so that without an influx of walk-ins, only 5% of humanity is inclined fully as a Service-to-Other soul to share and care. This makes ventures like The Venus Project a fantasy. If there are 7 billion people on Earth at the present time, there will be 7 billion different paths taken. The culture, personal assets, past life experience, soul maturity, age, and courage are some factors but there are too many even to list. The Zetas have advised that the common man should seek to form a survival camp composed of friends and family, those they know, and to avoid joining strangers who just advertise on the Internet. One’s church or organizations one might belong to certainly qualify. This S Carolina “Christian Survivalist Centers” endeavor seems to have the right elements. People have also been encouraged by the Zetas to leave the cities, which will be death traps in so many ways during the coming Pole Shift. A couple of lawmakers from South Carolina want to establish a network of self-sufficient communities in their state in preparation for “societal collapse”. In the long-term, they hope to “train and equip one million neighborhood leaders” that will be able to establish “a fresh beginning for America” in the aftermath of the great crisis that is coming. Also at these “micro hubs” that neighbors and fellow members of their “militia” will be able to learn about spiritual leadership, first aid, farming techniques, renewable energy sources, and setting up “perimeters” and other “tactical defense” strategies. For those concerned about societal collapse or impending disaster, two South Carolina lawmakers have a plan. It includes community ammo depots and tactical weapons training. Almost 1 million people have fled the New York area in the last six years, the highest rate of any major metropolitan area in the country. That number was head and shoulders above Chicago, the second-biggest loser with 409,000 more people leaving than arriving in the same period. The news has been very confusing over the past year and a half, since the announcement about Planet 9 was made on January 20, 2016. Per the Zetas, they announcement was scrambling the presence of the Sun’s dark binary 20 Sun-Pluto distances away with the path of Nibiru, which slings between this binary and our Sun. But it did reawaken the old argument about whether there was a gravity pull out toward Orion, which had been buried under frantic debunking in 1983 after Nibiru was discovered bearing in from that direction. Previously, there had been 8 planets in the Solar System. Now there is chatter about Planet 10! What can this mean? The as-yet unconfirmed world, known as 'Planet 10', has been proposed after scientists spotted that icy objects in a region beyond Neptune have wonky orbits. The Kuiper belt is an icy, halo-like region that extends outwards from Neptune to a distance around 55 times further from the sun than Earth is, or 55 AU. It is thought to be the remains of the violent and chaotic collisions that led to the formation of the planets. There are an estimated 33,000 objects more than 60 metres across in the belt and three dwarf planets. Even as the count of known planets around other stars continues to climb, a small group of observational astronomers and dynamicists are fixated on something much closer to home: tantalizing clues that a super-Earth-size planet lurks undiscovered somewhere beyond the Kuiper Belt in our own solar system. Some have dubbed it "Planet X," others "Planet 9," and right now observing teams are using some of the world’s largest telescopes in a race to track it down. One big problem is that they’re not sure where to look — or if it even exists. 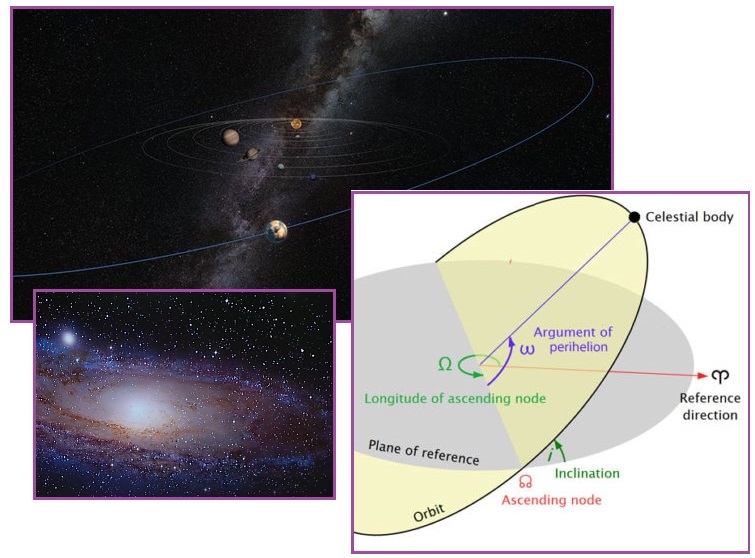 All planets in our solar system orbit around the sun on the same plane but, according to the measurements made by the research team, the most distant Kuiper Belt objects (KBOs) appear to be tilted away from this by about eight degrees. This indicates that something unknown is warping the average orbital plane of the outer solar system. The paper also ruled out the possibility that the mysterious object could be ‘Planet 9’, pointing out that this planet is predicted to be much bigger and much farther out. ZetaTalk Insight 7/1/2017: The Prongs that were to lead to an admission that Nibiru was in the inner Solar System - had arrived in 2003 according to the Zeta coordinates, and was next to the Sun at present causing an Earth wobble, erratic weather, and electro-magnetic disruption - had stalled in the Fall of 2016. Stalled but not dead. Prong3 had emerged in the Summer of 2016 and all that was needed was for the Dark Energy Survey to inspect its infra-red charts over the years to “discover” Nibiru’s arrival and current location. The establishment knows they must inform the public and can wait no longer. So they are back to educating the public about proper terminology and providing evidence. Planet 9 was a confusion between Nemesis and Nibiru. Planet X was a term applied to every rock discovered since 1983 – Eris and Sedna, etc. Planet 9 was assigned to Pluto until it fell from grace. Now the proper term for the Sun’s dark binary – Nemesis – has been in print lately. Nibiru likewise appears in print, in what seems to be a gradual announcement, accustoming the public to concepts long debunked. Will the Prongs spring back into life? This is one of many possibilities, many routes to an admission that Nibiru has arrived. We must decline to reveal more, as to do so would alert the cover-up over Nibiru.